The 100th Infantry Battalion was formed during a time of great turmoil and fear in the Territory of Hawaii and mainland United States. On December 7, 1941, Japan had launched a devastating, surprise attack on the naval base at Pearl Harbor, home of the U.S. Pacific Fleet. There was widespread apprehension that an invasion of Hawaii would soon follow. Residents of Japanese ancestry in Hawaii and on the mainland were viewed with suspicion, even hatred by many Americans. 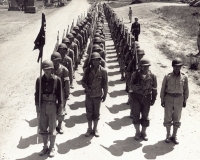 The predecessor to the 100th was the Hawaiian Provisional Infantry Battalion, established in May 1942, as a racially segregated unit of mostly Americans of Japanese Ancestry (AJA) who had been serving in the Hawaii National Guard. In June the battalion of 1432 officers and enlisted men sailed from Honolulu to Oakland, California where it was renamed the 100th Infantry Battalion (Separate). It was an orphan battalion, not assigned to any larger army unit. The 100th would undergo extensive basic training in Wisconsin, Mississippi and Louisiana from June 1942 until August 1943 while government and military officials decided what to do with these soldiers. 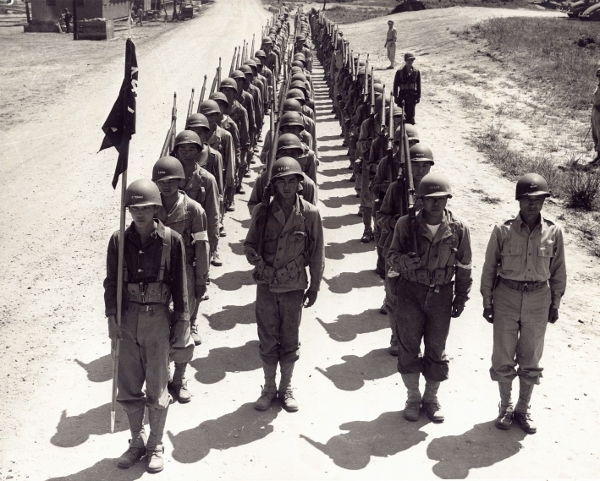 The battalion’s outstanding performance during training was an important factor leading to the February 1943 formation of a new all-volunteer AJA army unit, the 442nd Regimental Combat Team. Despite such inauspicious beginnings, the 100th Infantry Battalion would become a legendary combat unit during its 20 months in Europe, from September 1943 to May 1945 when Germany surrendered. Because of the high rate of casualties the battalion sustained, it became known as the “Purple Heart Battalion.” In March 1944, men from the 442nd RCT arrived as replacements to replenish the 100th’s depleted ranks. After the regiment arrived in Italy three months later, the 100th was attached to the 442nd RCT. There were a number of factors that led to the outstanding combat performance of the 100th Infantry Battalion and later the 442nd. Although the men were smaller in physical stature than the average infantry soldier – on average, 3” shorter and almost 20 pounds lighter – they were physically fit and well trained. Teamwork was emphasized throughout training. The battalion had its share of “hell-raisers,” but most of the soldiers made sure the actions of a few would not ruin the reputation of the whole battalion. They were also motivated by a common goal – to prove their loyalty. The men of the 100th selected “Remember Pearl Harbor” as their motto, indicative of their outrage at the attack on their country, the United States. The 100th fought in six campaigns in Italy and France and earned three Presidential Unit Citations. 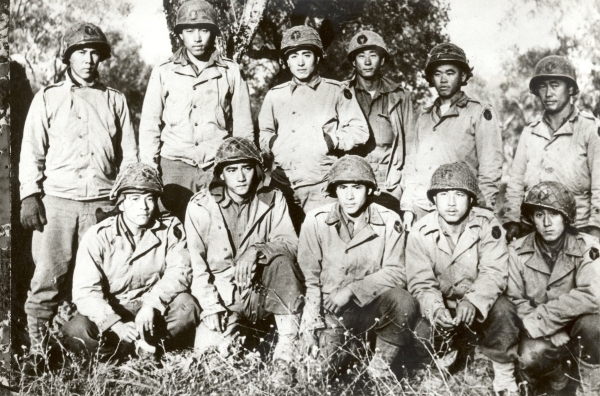 The 100th/442nd Regimental Combat Team would be recognized as the most decorated unit for its size and length of service in the history of the U.S. military.